Any of our long time readers will know that I can have a soft spot for high-speed networking. Throughout the years I’ve been plagued with bad WiFi, irregular house shapes, routers that only come with a single 1G port, and the inability to set up a decent, cost effective high-speed home network. The movement to 10G has certainly been prevalent in the enterprise space, as shown by the growth of 10G panels at Supercomputing 2015 last year. However the movement to 10G for home use, which is still a niche category I admit, has been slow and still very expensive. Using 10GBase-T, over SFP or other connectivity, allows for backwards compatibility in the home which is still an important feature. There are two main ways to show 10G to your home network: either pick up a NAS with 10G and use a switch with one or two 10G ports (then 10+ ports with 1G connections), or use a full 10G switch and have 10G devices. The cheapest 10GBase-T switch available for end-users is still Netgear’s XS708E 8-port switch, retailing for $750 or sometimes on sale for $625-650. That’s around $80+ minimum per port for the switch, and then you need machines with 10G access. 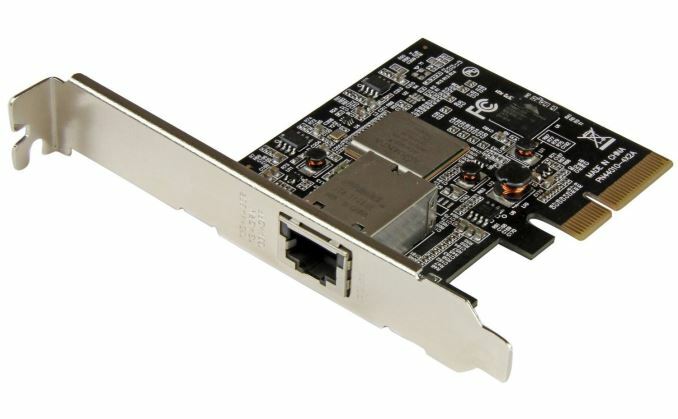 Depending on how the wind is blowing and what sales are on, single port PCIe cards with dual 10G ports can be had for $200-$220 on the gray market or up to $400 from source, with the main option of Intel controllers, however there are a few using an Aquantia/Tehuti networking solution. Or roughly translated, $100 per port, and it requires a system with a spare PCIe 2.0 x8 slot. 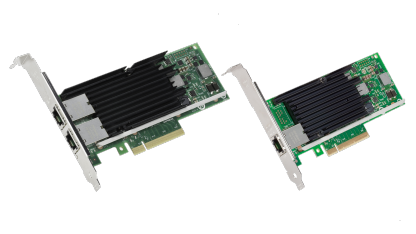 As we’ve previously reviewed at AnandTech, there are other options for having consumer-based 10G enabled systems. 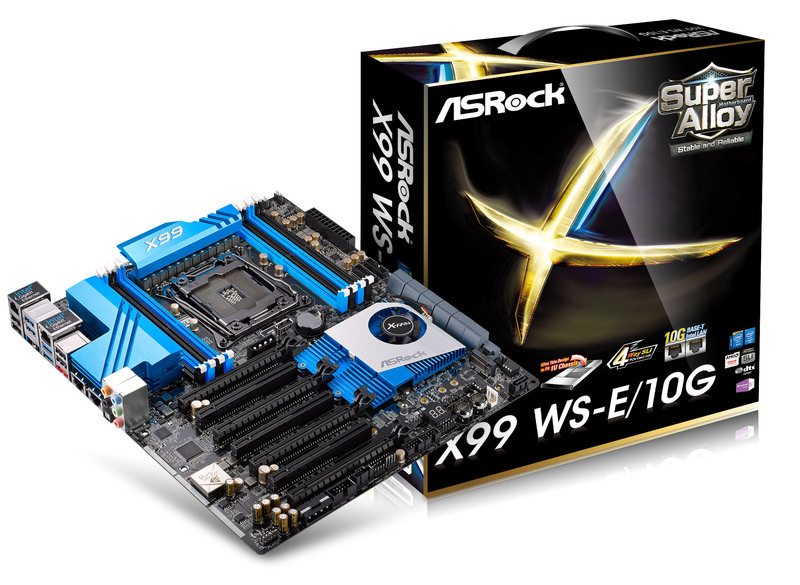 We reviewed the ASRock X99 WS-E/10G back in December 2014, which used a PLX PCIe switch to enable both the Intel X540T2 controller and four-way GPUs in a high-end motherboard. 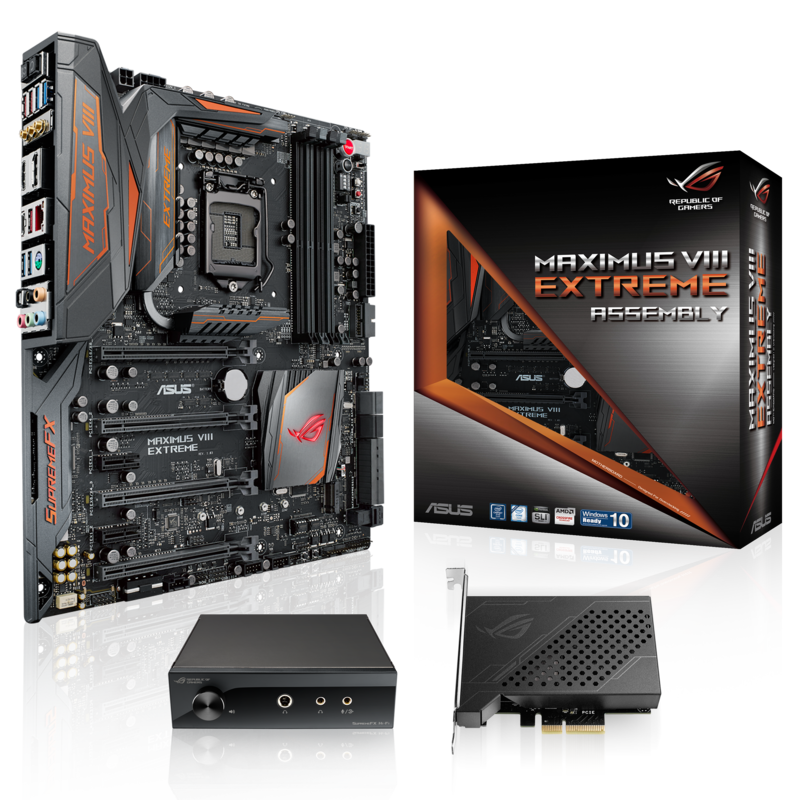 This motherboard currently retails for $770, and uses Haswell-E and Broadwell-E high-end desktop processors. This motherboard held the title of the only consumer motherboard to come with a 10G chip for over a year. Late last year, in November 2015, ASUS met the feature half-way, offering their high-end Skylake-based Z170 Maximus VIII Extreme motherboard with a bundled single-port 10GBase-T card built on the Aquantia/Tehuti platform. The package carries the Extreme/Assembly branding, and also comes with a front panel DAC. We didn’t get time to review this bundle, and unfortunately the 10G card isn’t sold separately. The whole package is currently on sale for $570, however as it is Skylake based we are limited to a quad core i7-6700K system in this case. 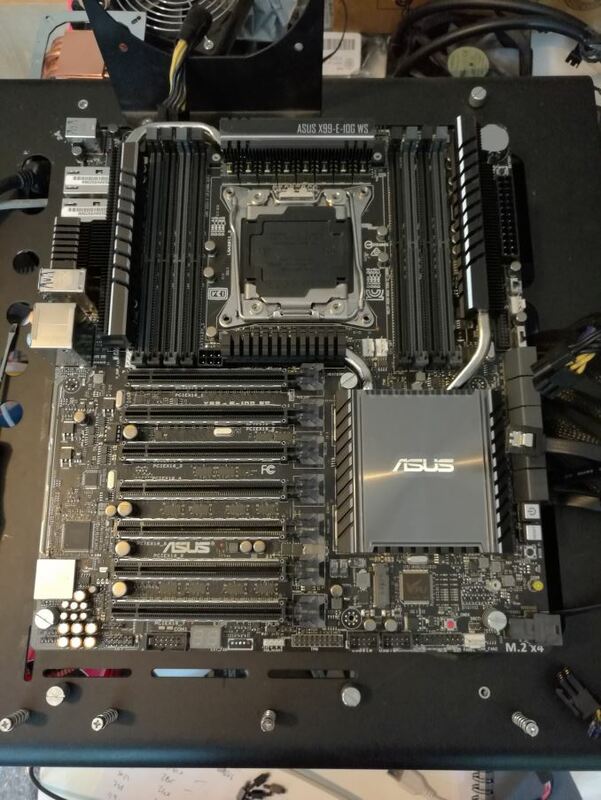 Move forward to Computex 2016, and ASUS dropped on my doorstep the day before I left their new 10G motherboard design for Broadwell-E processors – a near final version of the product. This is the ASUS X99 E-WS/10G, their high-end desktop workstation motherboard with a built in Intel X550T2 controller for dual 10G ports. 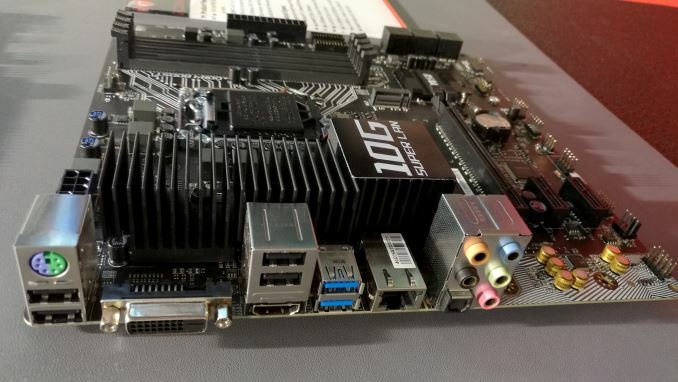 The board also comes with reinforced PCIe slots, support for U.2 drives, USB 3.1 and most of the updated modern features for a high-end product. We’re still in the process of testing and reviewing this motherboard, which is set for release sometime soon. Price unknown at this point, but we expect it to be certainly near the ASRock 10G board. On the show floor at Computex, we saw another new entrant to the onboard 10G market on display. While all the other motherboards have been ATX (or E-ATX) so far, MSI is going to plug an Intel X550 controller on a Xeon grade Z170 micro-ATX motherboard to go after some smaller form factor designs. This design uses the C236 chipset, allowing users to equip either a Skylake Core CPU or a Xeon E3-1200 v5 processor, and siphons off four PCIe lanes from the CPU for the 10G controller. This gives 12 lanes from the CPU left, 8 of which go to the main PCIe slot, and another four to the M.2 slot as well. Being both Z170 based and micro-ATX should allow this product to be priced cheaper than the others, although unlike the others it only houses one 10GBase-T port rather than two. When MSI are near final with this motherboard, we’d love to get it in for testing. There are also a variety of non-consumer focused motherboards with 10GBase-T ports, either with Xeon-D SoCs or dual socket motherboards, such as the MBD-X9DRE-TF+ from Supermicro (dual LGA2011) for $670 or the X10FRC-T4+-O (dual LGA2011-3) for $941. For consumers looking to move to 10G for home networking, we’re still waiting for the pricing of switches to come down, however it would seem that there are moves afoot to equip more motherboards with 10G by default. There’s still the added cost, and it means the PCIe lane layouts might be a bit different to normal, but it removes the need for an extra PCIe slot/card overall. It’s a slow march, and the price of both switches and 10G controllers needs to come down to make it a more viable option. Single client, sure. multi-client on the other hand is pushing over 500Mbps (peaks over 800Mbps) on a single 80MHz wide channel for a 3x3 radio. With the forthcoming 4x4 designs and 160MHz wide channels, it should go even higher, potentially breaking the 1gbit sustained barrier. Oh, and that's on consumer gear. Demand for 2.5 and 5gbit is coming from the likes of Cisco and their clients and competition for the most part, for their enterprise APs - expect home to remain on 1gbit or move directly up to 10gbit.